Alchemical Hypnosis is a timeless therapeutic practice that has helped thousands of people heal physical & emotional pain and transform lives. This September, in Santa Rosa, California, the Alchemy Institute offers a comprehensive training program that prepares you for a professional career as a certified Hypnotherapist. The Institute specializes and offers the most comprehensive training in leading edge Past Life Regression therapy and Somatic Healing therapy. WHY CHOOSE ALCHEMICAL HYPNOSIS TRAINING? ​- Most extensive in-class supervision of any hypnosis training. Daily practice. - Only program that trains you to work directly with client's inner guides and archetypal resources, including the Inner Child, the Inner Healer, Inner Judge. - Most extensive and leading edge training in Past Life Regression available - includes Interlife technology, healing past life trauma & Karmic transgressions, clearing relationship contracts, the preconception contract, accessing past life abilities). The Institute was founded in 1984 by David Quigley, one of today’s most respected and sought after authorities on Therapeutic Hypnosis. David’s career as a Master Hypnotist began in 1978 as he searched for a way out of chronic illness and severe depression. Everything changed when he began to tap into his “inner guides”, who with love and wisdom led him on a path of healing including freeing himself completely from severe rheumatoid arthritis. 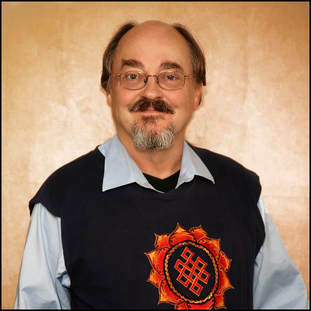 Once rooted in these teachings David pursued extensive study at Duke University in comparative religions, Gestalt, Primal, and Jungian psychotherapy as well as Ericksonian hypnosis, clinical hypnosis, and Neurolinguistic Programming. The synthesis of his inner experience and studies is now known as ALCHEMICAL HYPNOSIS, and is practiced by professional hypnotherapists and other successful healing practitioners around the world. 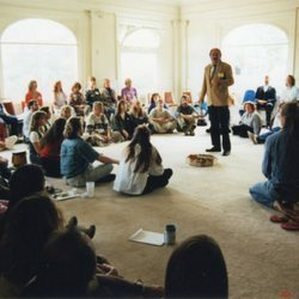 The Alchemy Institute is located in Santa Rosa, California and offers programs and classes throughout the year. 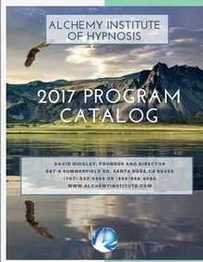 ALCHEMICAL HYPNOSIS PRACTITIONER PROGRAM: 135 hrs, 166 pg Training Book, 3 Certifications upon completion. 163 pg Training Book, 2 Certifications: CHT and CH Credentials plus free NGH membership upon completion. ​Why a Career in Alchemical Hypnotherapy? Smoking cessation, weight loss, stress, anxiety, depression, peak performance, sleep disorders, post-trauma anxiety and stress, habit control, grief and loss, change, permanent relief from chronic pain, self-confidence, addiction, fears and phobias,relationship issues and much more. You will be able to help people from all walks of life to rapidly heal their lives and bodies by clearing the source or underlying cause of any issue, and in conjunction with medical treatment you can help lessen or prevent side effects of medications, and accelerate recovery. It is enormously satisfying work. And it pays well: Depending on location, our skilled practitioners earn between $75 to $125 (or more) per hour for their professional services. One session is usually 2 hours. Our training program includes how to do sessions by phone or online– so you can serve clients worldwide from the comfort of your home office. "Alchemical Hypnotherapy changed my life and I feel so much joy as i watch it changing the lives of my clients. Studying Alchemical Hypnotherapy was the greatest gift to myself, as well as to what I can do to help others." "I love having these amazing life changing tools available to share with those who want and are open to authentic real healing. As the practitioner, it is also exciting, powerful and empowering!" "Since the late 1980’s Alchemical Hypnotherapy has been a perfect vehicle to channel my own healing capabilities. It is deeply rewarding to help people free themselves from pain and distress, usually in a short amount of time."